SCHomebuyers.netNeed To Sell Your House Fast? We Buy Houses! Perhaps the most important thing to do is to save the memories for yourself. 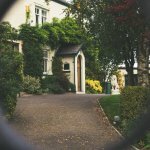 It’s easy to discover that you have many mixed emotions about the property, and that can actually keep people from selling an inherited property. Instead, they just pay to hold onto the property but never really enjoy the property. The best step here is to understand that you are experiencing emotions about the memories and about the person who lived here. The house itself is just the structure. So if you’re thinking of selling but want to preserve the memories, do something special in the house — take pictures, gather some of the furniture and photographs and other mementos that you will cherish. You’ll have a few things that represent your memories and you’ll still be able to sell the house to keep it from becoming a burden. Chances are, you inherited the house from someone who lived there for a while. When this happens, you’ll find out that the person who lived there may have taken very good care of the house but after living in the same house for a while there might be areas of the house that they didn’t use very much, or perhaps areas of the house that they used for storage. The best way to help your inherited house sell is to clear the house out, clean it up thoroughly, and present a beautiful empty house to buyers. Last, you should think about giving your house a paint job. If you inherited the house from someone who lived in it a while, they may have cared for the house but the wall colors may have faded. A paint job is affordable for you and it’s an easy way to help a house feel fresh and lived-in, even if you choose not to make any other updates or renovations to the house. When your loved one passed the house on to you, they did so because they wanted to give you this gift. But selling the inherited house may make the most sense. So you’ve just read 3 things you can do in Charleston to prepare your inherited house for the sale. Wondering how to sell your house quickly and easily without any hassle or dealing with an agent? That’s where we can help. We are professional house buyers and we’ll make you a no-obligation cash offer for your house. Click here to enter your information or call our office at 843.883.3934 to learn more. Duncan Townsend is a native South Carolinian with a degree from Clemson University. His real estate career extends over thirty years and spans many facets of the field including pre-construction sales, land development, property management, home construction, residential renovations, many property investments, and general real estate brokerage. His sales and marketing experience began with US Capital Corporation in Banner Elk, NC in 1980 working on new condominium projects and later moved to Hilton Head Island, SC to continue work on multi-family projects with Raintree Corporation and single family homes with The Hilton Head Plantation Company. In 1991 Duncan established Osprey Construction Company on Johns Island, SC to serve clients in the design and build custom high-end custom homes on Kiawah and Seabrook Islands. His entrepreneurial ventures through Osprey Construction included speculative home and land development, condominium conversions, property renovations, and property management. Duncan has owned and successfully managed short term and long term residential rentals, and commercial office properties. Duncan is a member of the Charleston Trident Association of Realtors, a Construction Specifications Institute Construction Documents Technologist, was an ASTM Standards Committee member and he actively served on the board of directors for the both the Construction Specifications Institute, Mt. Rainier Chapter in Tacoma WA, and for the Seattle Building Enclosure Council. He is also an active member of the Exchange Club of Charleston. An enthusiastic learner, Duncan continues to expand his extensive knowledge of real estate and construction through studies on buyer and seller representation, law updates, property foreclosures, short sales, lease/purchase methods, installment sales, tax strategies for real estate, marketing to find deals, self directed IRAs , private money funding, negotiation strategies, and more. How Important Is The Asking Price When Selling A House In Charleston SC? Why Won’t My House Sell In Charleston? I Inherited a House, What To Do? – Should I rent or sell in Charleston? Foreclosure notice of default in SC– what is it? Help, I’m behind in my mortgage payments in Charleston!